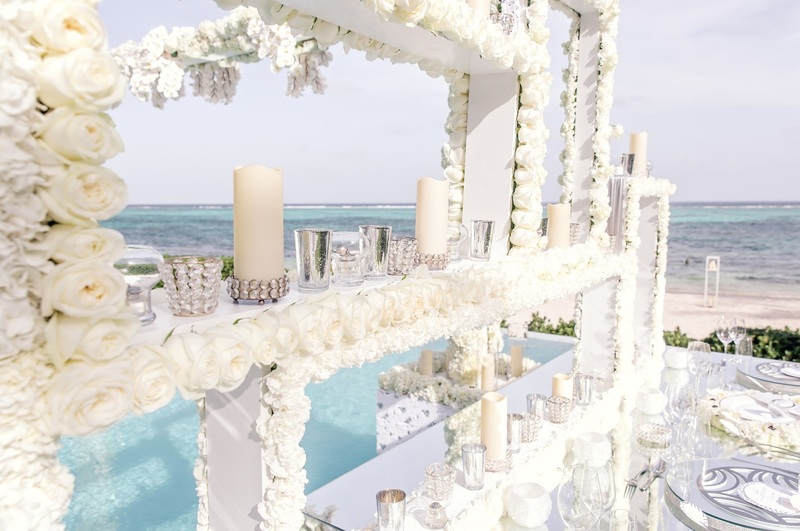 Luxury destination weddings are nothing new to the Cayman Islands in particular, and with such magnificent properties on the island, such as the Ritz-Carlton, Westin Resort, Caribbean Club, Kimpton Seafire and so much more, it’s not hard to understand why. 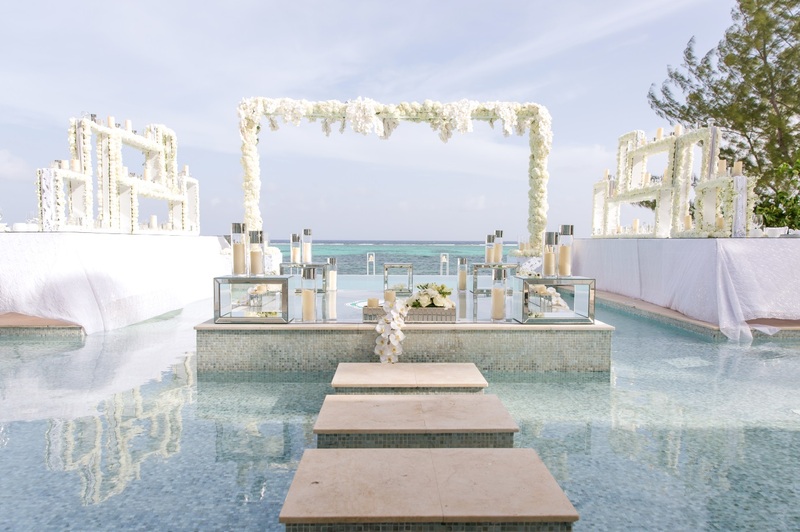 The Cayman Islands have been voted top destination for weddings by Forbes and Trip Advisor as well as the Caribbean destination with the best beaches. 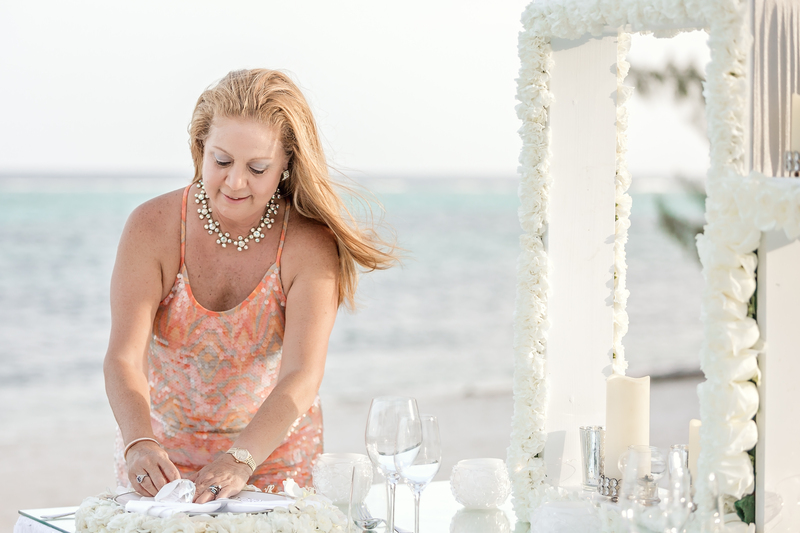 The list of “bests” for the Cayman Islands are endless, really – from best sunsets in the world and safest destination to the world’s best diving, the Caymans offer an ongoing list of reasons to look no further for your destination wedding. 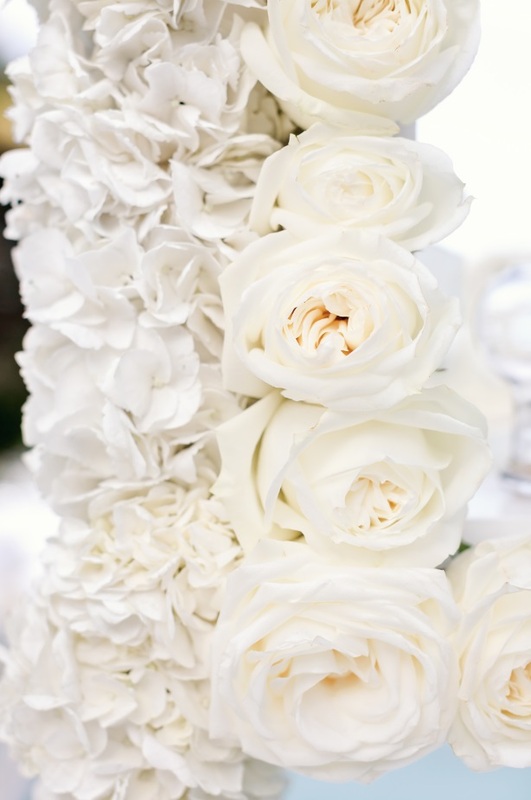 We’re very proud of our many accolades and features as well, having been featured in every wedding publication imaginable including Conde Nast’s Brides! We’ve even had our own reality show as the subject of a 6-part documentary series for the travel channel. 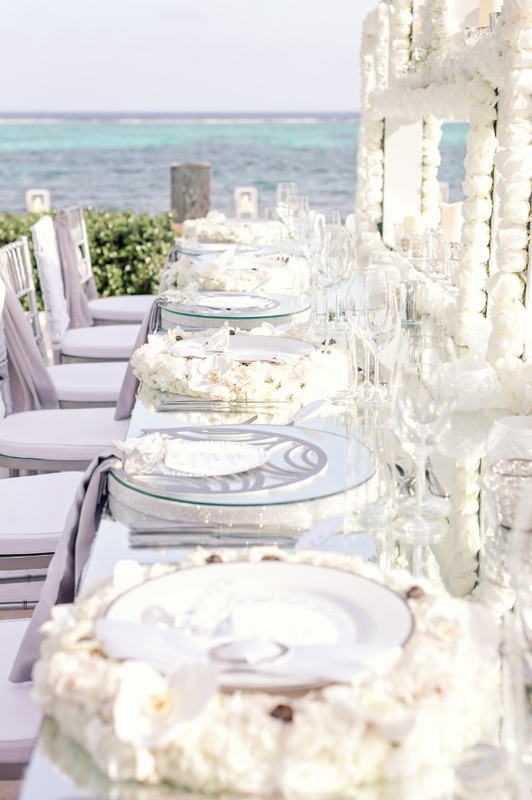 As the largest production company in the Caribbean with over 250,000 decor items in our inventory and a seasoned roster of 45 full time staff of wedding and event professionals, we’re excited to add to the list of reasons to choose the Cayman Islands. 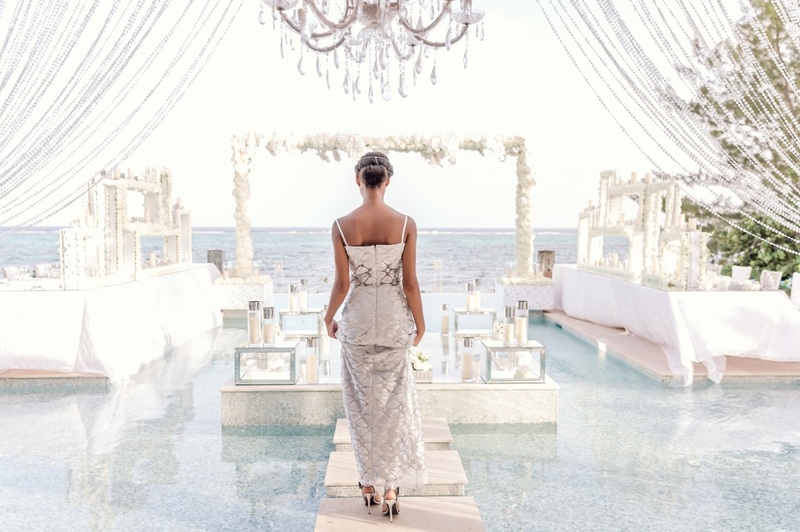 While luxury hotel options are always popular, as of late, more and more luxury brides are opting to host their special day at private and exclusive villas, which the Cayman Islands certainly offer up in abundance. From regal “McMansions” to the modern opulence of oceanfront luxury properties, Luxury Cayman Villas are the go-to resource for your luxurious private escape – whether for a special event or vacation rental, there’s nothing like an infinity pool overlooking the azure seas of Grand Cayman to leave you breathless. 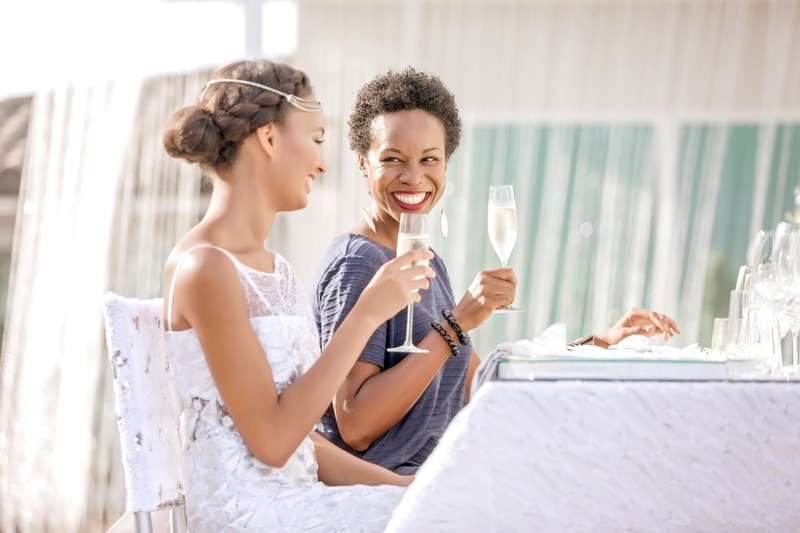 A collaboration between JVB Design House and our Cayman Islands partners, Celebrations Ltd. and Luxury Cayman Villas, was inevitable and we’re so excited to give you an exclusive look at our collaborative shoot and after-shoot dinner soiree at the stunning Tranquility Cove Villa! 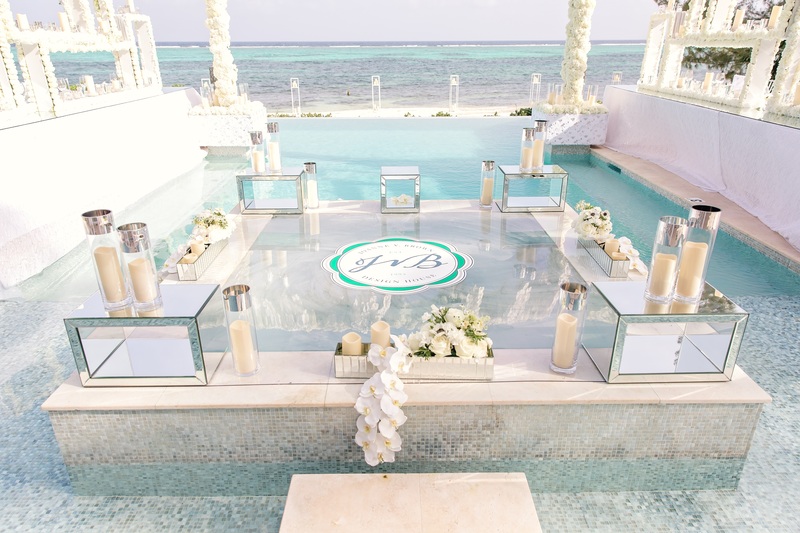 While simultaneously celebrating these gorgeous villas and and their introduction into the world of fabulous destination weddings, we were also celebrating the launch of JVB Design House in the Caymans, an island which we believe our services are perfectly suited for. 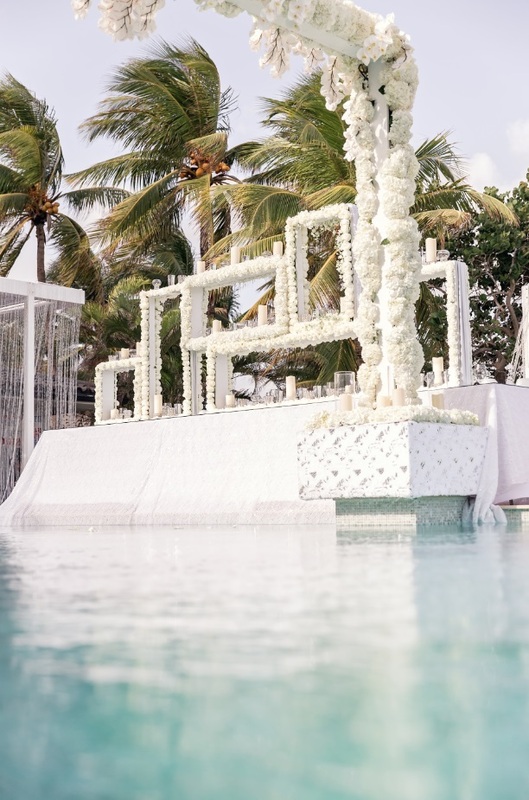 Focusing exclusively on luxury design for weddings and events as well as planning services, JoAnne V. Brown (JVB) is at the helm of JVB Design House and will work exclusively with those select brides seeking a multi-faceted luxury experience for their wedding anywhere in the world. 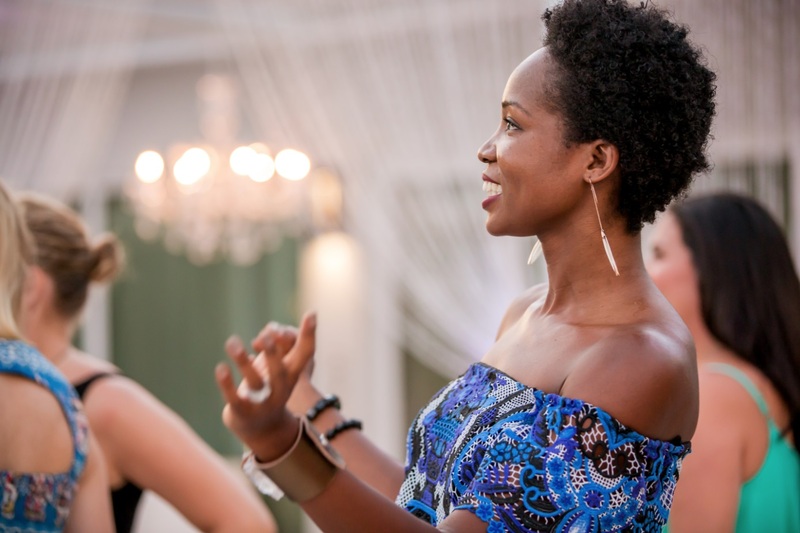 Inspired by the shimmering beauty of the moon, “Moonshine” is the theme designed by JoAnne V. Brown (JVB), for the evening’s events. 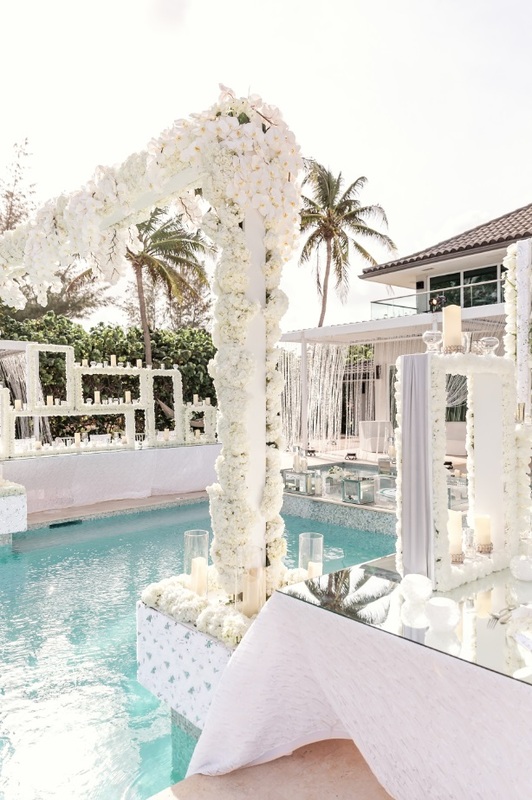 A majestic pallet of white and silvers with rhinestone, mirror and diamante accents intermixed with an abundance of floral strategically designed into linear and geometric shapes as a nod to the modern design the luxury villa. 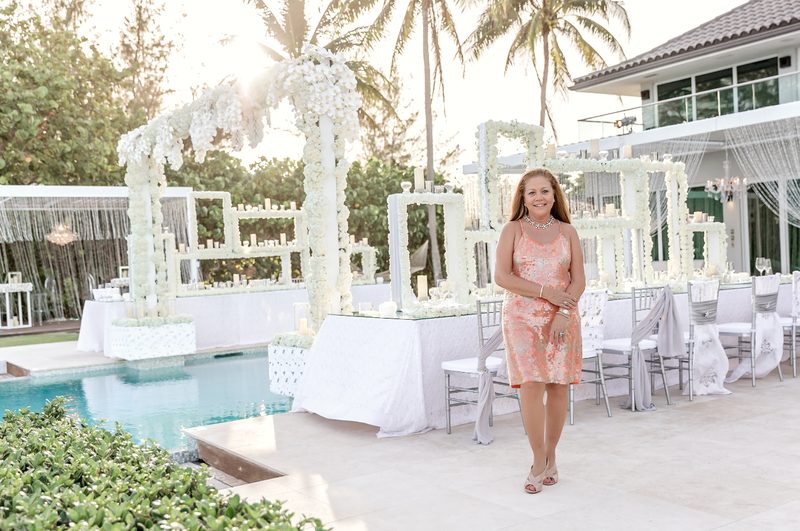 All of it culminated into a jaw dropping setting for the shoot and after-shoot dinner party. 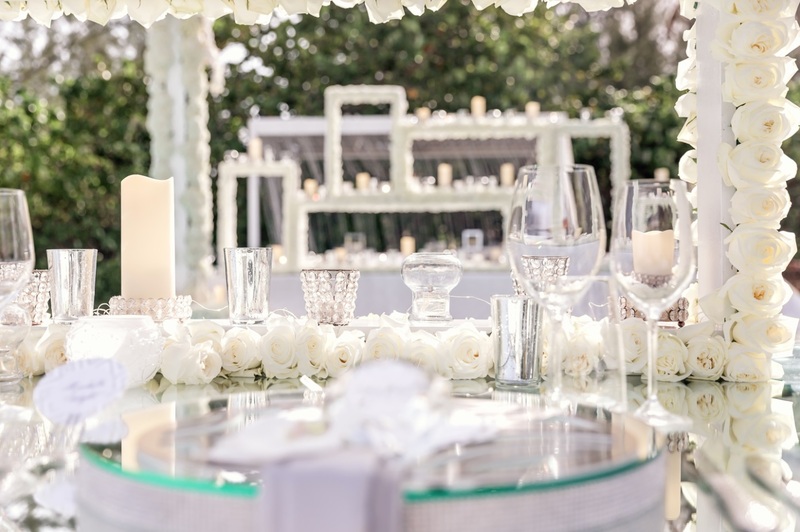 Two place setting designs contributed to the tablescape; the first, 3-dimensional disc placemats created with an array of white floral such as roses and anemone, finished with a white silver rim charger at it’s center, an oversized diamond showpiece as a weight for the menu cards and white satin napkins hugging the setting, each with brushed platinum “Fresco Napkin Buckles” by RedBliss Designs. 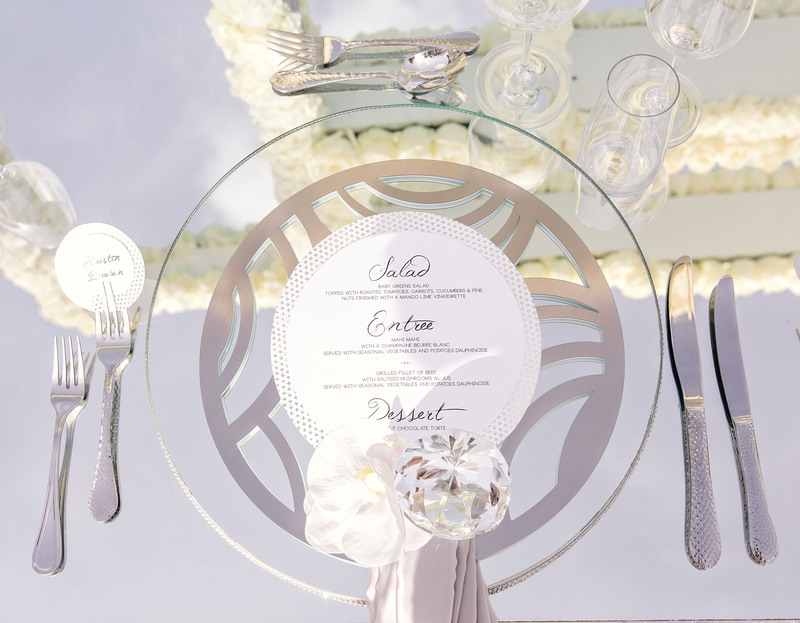 The second place setting featured 3-dimensional mirror tile discs with rhinestone trimming, the center of which was the main attraction: stunning laser cut Chroma “Affinity Placemats” in brushed platinum provided by our friends at RedBliss Designs, perfectly complimenting the geo-shape design of the evening. 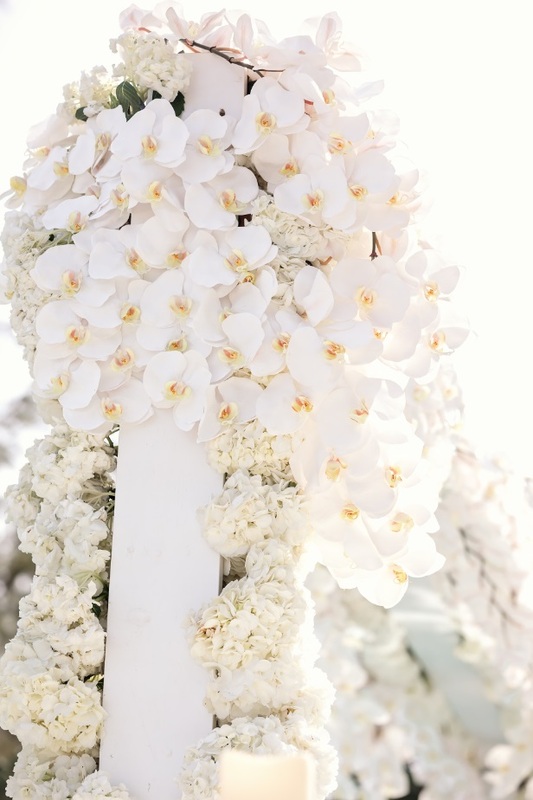 This place setting was finished with an oversized diamond weight for the menu cards and a white phalaenopsis orchid. 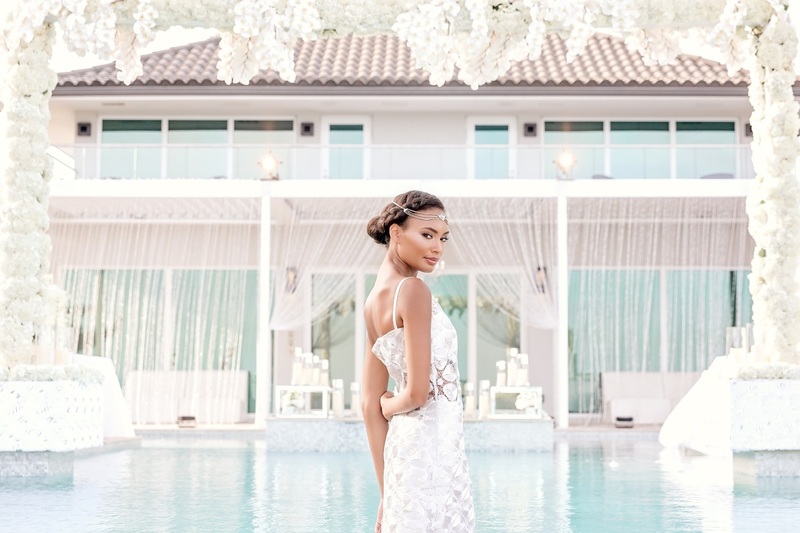 The fabulously talented and ever-so elegant Cayman-based Fashion Designer of Isy B Designs, Isy Obi, dressed our model, Alyssa, in a stunning silver two piece formal ensemble with a shimmering lace overlay and finished the look with a gem hairpiece from her collection of accessories – to die for! 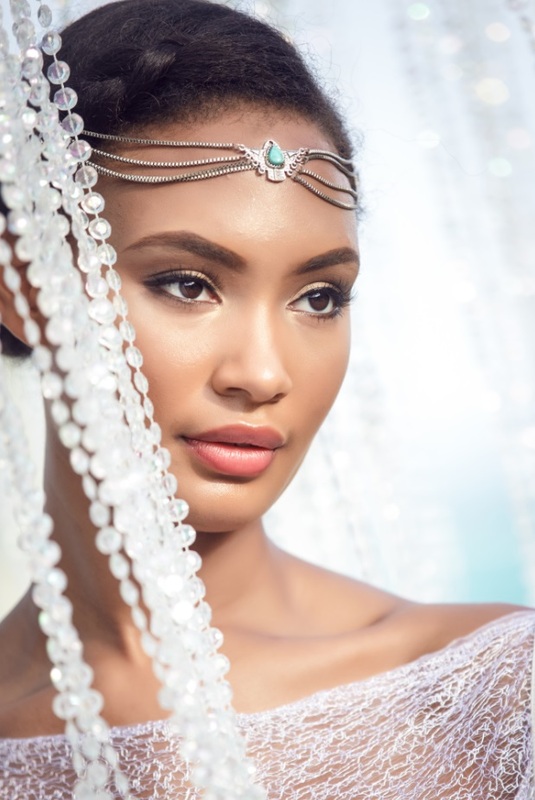 The amazing team at Rock Gorgeous Salon on Grand Cayman’s popular Seven Mile Beach strip prepped our model with a gorgeous braided hair look and beautiful makeup. 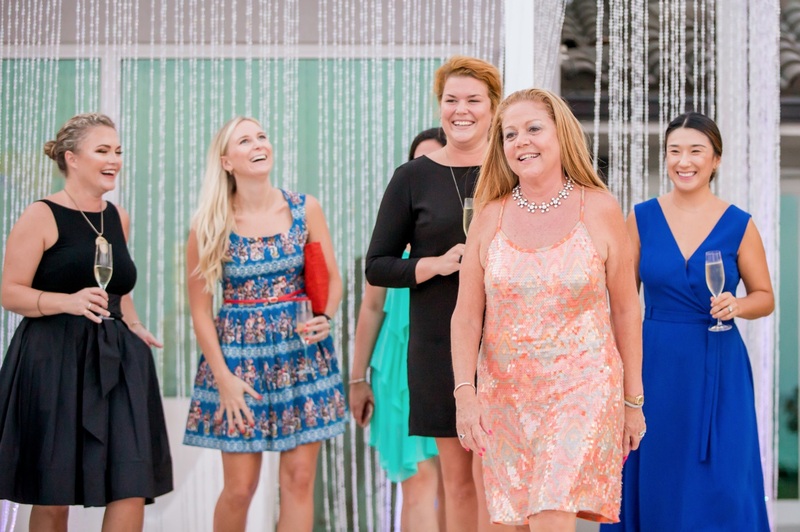 Our exclusive group of invited guests were enjoying cocktails kept away from our setting so to surprise them with an unveiling as they enter for dinner. 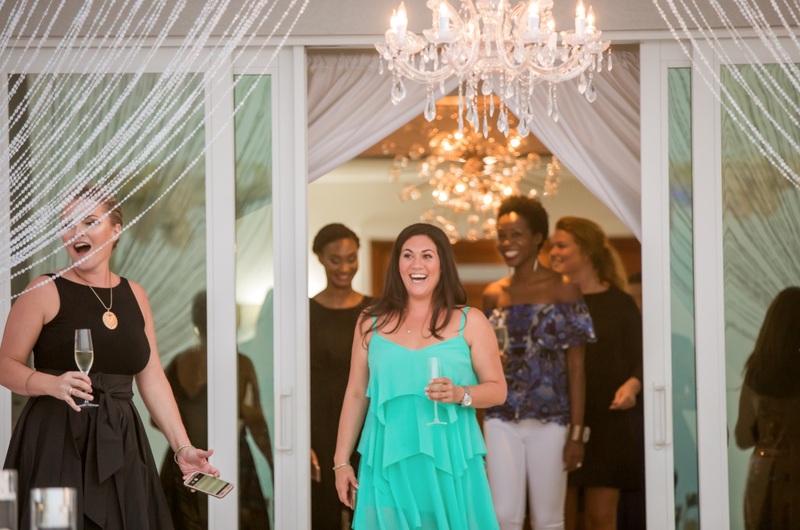 As we freshened up the setting for our after-shoot soiree, our guests mingled over bubbly and enjoyed a private tour of the Tranquility Cove villa by the team at Luxury Cayman Villas. 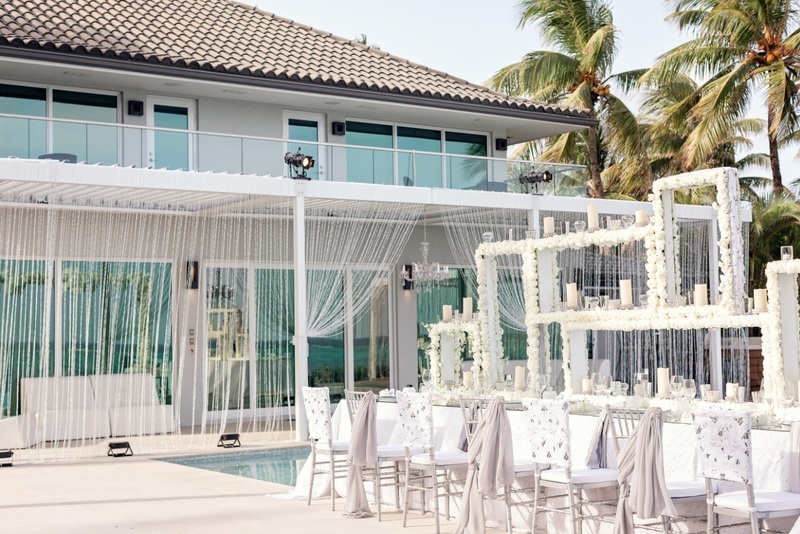 When it was finally time to welcome our guests to their dinner setting, we pulled back the white curtains and unveiled the designed exterior of the villa to their surprise and delight – it’s absolutely fabulous that we were able to capture those magical “wow” moments thanks to the team at Picture This Studios. To read what the evening was like from the perspective of our special guests, click here for Sophie Prior of Lustic Life’s take on what she is referring to as the “most Pinterest worthy dinner of all time” or here for a post on the event by the lovely ladies of Not Your Standard Agency, Michelle Wight & Harriet Moon. 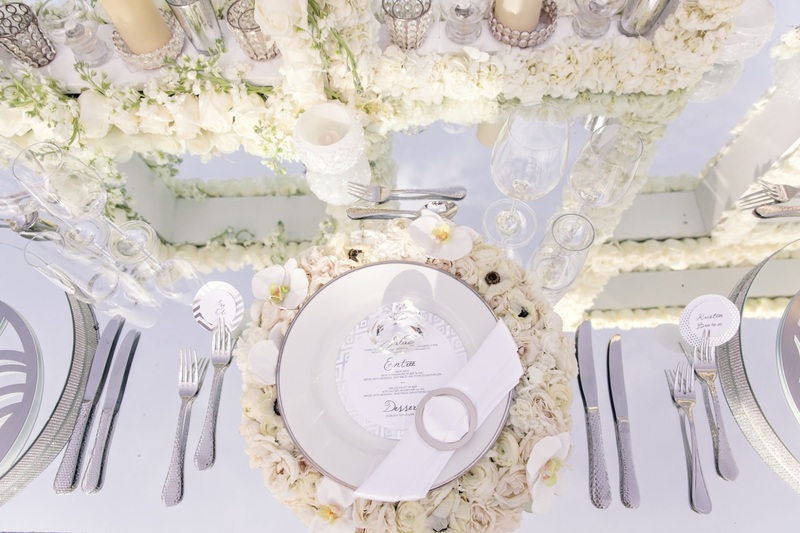 Finally, the team of private chefs provided by Mise En Place catering headed by Chef Carlos and a woman we’re forever calling the “Pastry Goddess”, Paula, did an impeccable job curating a menu that was mouth-watering to read through, let alone taste! Every plate was a feast for the eyes and belly with an array of artfully decorated plates and flavors that left us reeling for more. 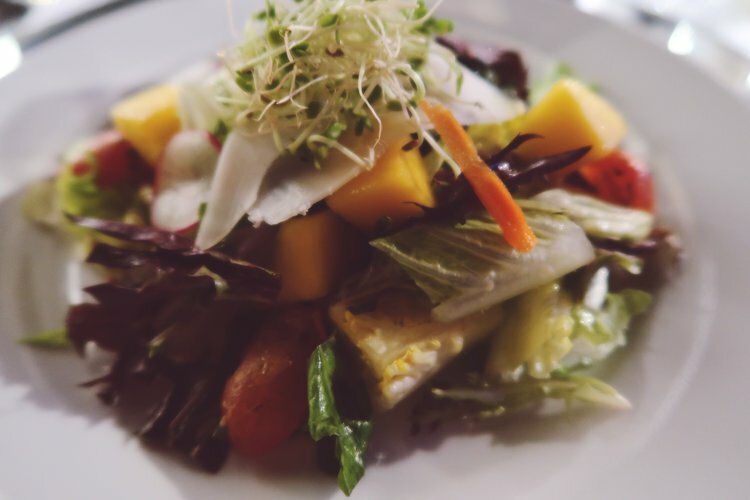 We started with a salad of baby greens topped with roasted tomatoes, carrots, cucumbers & pine nuts finished with a mango lime vinaigrette. 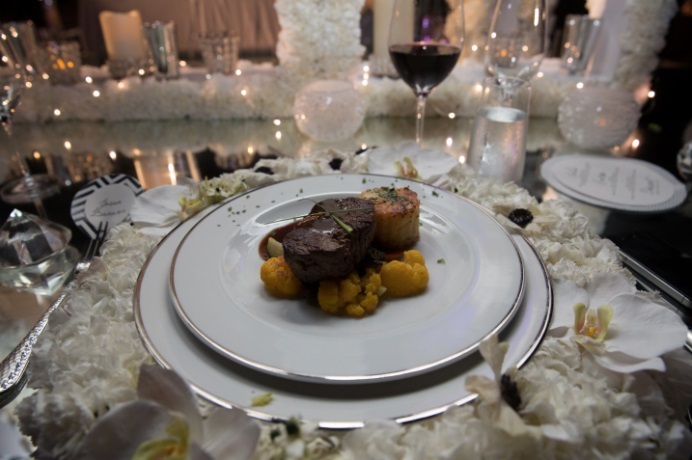 As Entree, guests were offered a selection between fillet of beef with sauteed mushroom au jus or local mahi mahi with a champagne beurre blanc, both served with seasonal vegetables and potatoes dauphinoise. 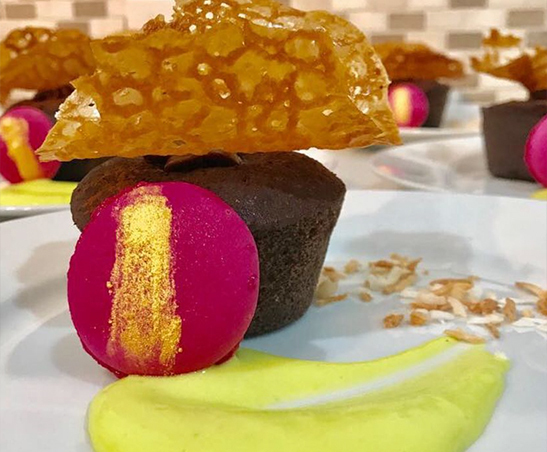 For dessert, a rich hazelnut chocolate torte with a passion fruit macaron and caramel crisp sent us to the moon and back down to our “Moonshine” soiree. It just so happened to be Isy Obi’s birthday, so we couldn’t resist the opportunity to serenade the fabulous designer as the waiters served up this fabulous dessert!